Lisa McFarland is now in two locations! INTRODUCTORY SERIES: Four two hour weekly classes on the basics of our ketogenic/low carb diet, or Paleo diets (classes most commonly are ketogenic/low carb plans) with coaching throughout the month (depending on class format and demand). You will have daily text and email support, daily log review for two weeks and then weekly log review for two weeks. We will provide the handouts for each class that will guide you through the program. My goal is to help you lose weight without counting calories, cure metabolic syndrome prediabetes diabetes autoimmune diseases and gastrointestinal diseases, and reset your natural weight set point by curing your insulin resistance. Are you ready to start your better health journey? $300 for the four week series. Returning students half price. Class members may continue with weekly log review and support after this class for $100 a month or add this support at a later date. My passion is showing you a healthy way to live and I will spend whatever time it takes to help you get there. Leslie Anders is an accomplished developer/administrator of wellness programs including a deep background in wellness coaching with over 20 years of experience in putting on health fairs, taking biometrics, holding fitness/special population classes, weight loss classes, and as a guest speaker and in-house trainer. Her experience also includes professor of a state university teaching in a variety of physical fitness classes and master personal trainer. 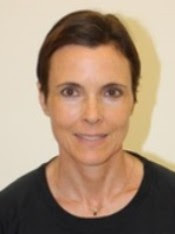 She holds certificates from the American Council on Exercise as Health Coach, Group Instructor, Personal Trainer, and Weight Management Coach and has a certificate from Health Science Institute as a Chronic Care Professional and from Niel Asher Healthcare as a Trigger Point Practitioner. Her degrees include Masters of Education in Education and Counseling and Bachelors of Science in Biology and Physical Education. She has a private wellness consulting/weight loss practice and is passionate about completing a certification as a Registered Dietitian through U of H.
Shannon McLain, M.S., now practicing at The Healing Space! She offers a mindfulness-based approach to Wellness at The Center for Intentional Healing. Her upcoming class on self-compassion is April 27th! For more information click here. Listen to her podcast on Self-Compassion here. Shannon McLain, M.S. graduated from Lawrence University with Science B.S. degree in psychology with a minor in neuroscience. 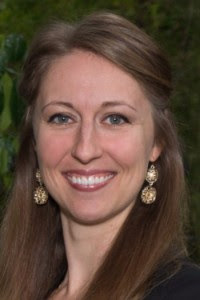 She then graduated from Saybrook University’sCollege of Integrative Medicine and Health Sciences, with her M.S. degree in Mind-Body Medicine and is working towards the completion of a doctoral degree in Integrative Medicine with a specialization in healthcare practice. Shannon is a certified Health and Wellness coach and is also working towards a certification in Integrative and Functional Nutrition. She has completed the Professional Training Program through the Center for Mind-Body Medicine, located in Washington, DC.